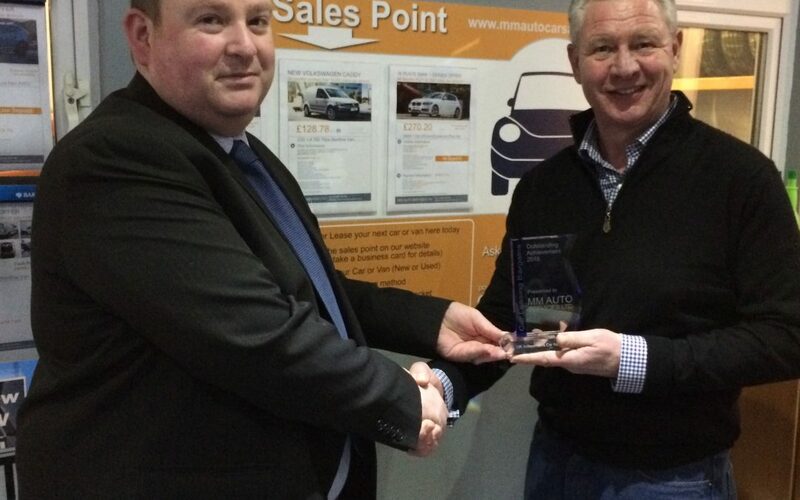 M M Auto Services, a Dingbro Ltd customer and member of the Servicesure Autocentre network, has won a special award after selling a significant number of vehicles from their ‘virtual forecourt’ throughout 2016. The year’s ‘Outstanding Achievement Award’ was awarded by Car Leasing Bargains (CLB) to the Dundee-based independent garage and workshop. The relationship began after owner Murdo MacIntosh started investigating opportunities to diversify. Since then, M M Auto Services has sold nearly 50 new vehicles in less than 18 months. Sales have ranged from a VW Up to a Ford Transit Jumbo, and even an Audi S3. Kia Sportages have been most popular. Murdo acknowledges adding new car sales to an aftermarket independent is ‘unusual’ but it’s been working well. 70% of vehicles have been sold to existing customers, with the rest mainly to new customers referred by word of mouth. “We’ve picked up the service and maintenance work from the new customers too,” said Murdo. Murdo added: “Previously it was time-consuming sourcing good used vehicles, and it was a big investment stocking them; we don’t have a massive car park so we could only hold a couple at a time anyway. Not having vehicles on site has never been a problem, though Murdo has had to be flexible at times to seal deals. In one case he paid for the repair of a car being offered in part exchange so the customer could keep using it whilst awaiting delivery of their new Mercedes A Class. The CLB offer is exclusive to Servicesure Autocentre members. CLB has been working with Servicesure Autocentres as a supply partner for nearly 10 years. Looking ahead with confidence, Murdo aims to double sales of new vehicles in 2017 and M M Auto Services are planning on moving to new larger premises.